Handwriting assessments and individualized handwriting instruction for teens and adults. 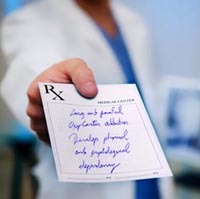 Poor handwriting can result in medication errors and misrepresented communication! Is your handwriting hurting you? “I fully endorse Kathryn’s teaching style and patience with her students. Before I came to OC Handwriting my handwriting was an embarrassment. After 3 sessions and daily practice she helped me to correct my bad habits and made me proud of my penmanship. I can’t thank her enough!” - J.P.
For information about OC Handwriting local programs contact us at (714) 875-2574 or fill in our contact form.